Our editor Lisa Factora-Borchers has worked tirelessly for years to bring the manuscript to publication. My deepest gratitude to her for this ongoing endeavor. Right now, Lisa and contributors are connecting Dear Sister with communities — locally, regionally, and nationally. Please follow our Community Calendar for events in North America and even abroad, since our base is widely located. I am available for appearances throughout Michigan, the Midwest, and other regions as invited. Notices for my events are available by online calendar, subscription to http://deyofthephoenix, and Facebook. On a national scale, the editor Lisa is on tour with announcements at http://dearsisteranthology.com and Facebook. In closing, please consider purchasing Dear Sister, even if as a gift. 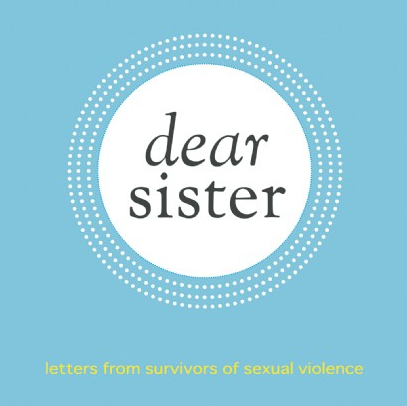 For the collection to become widely available, its donations to agencies serving survivors, libraries, and high schools are just a few places to bring Dear Sister into the wider public. * Updated January 13, 2014, with clarification that contributors include survivors and allies.